An All Blacks rugby jersey made with premium knit fabric. 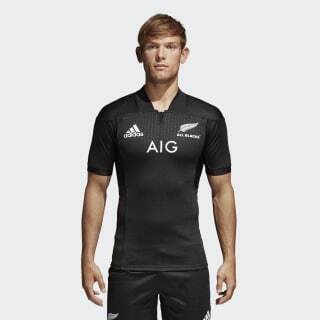 Get the look and feel of the All Blacks team kit in this men's rugby jersey. Made with FORMOTION® for ease of movement, it's cut in a tailored fit and features breathable mesh inserts. The shirt is finished with an embossed pattern inspired by the team's silver fern logo and an All Blacks crest.